A month after the passing away of writer and director Perry Henzell, Sarala Estruch ventures behind-the-scenes to discover the reasons behind the phenomenal success of Jamaica’s first feature film. People, people, everywhere! Young people, old people, rich and poor; they all flocked out and flooded the Carib theatre in Crossroads at the heart of Kingston. The cinema had never witnessed such commotion. Outside the queue was so long you couldn’t see the end of it, inside was utter chaos! Ram-packed – no one was able to move an inch. Not even the Prime Minister was able to get through the hoard of bodies. And what was all this in aid of? It was 1972 and Jamaica’s first feature film was just about to be premiered on home ground: The Harder They Come. 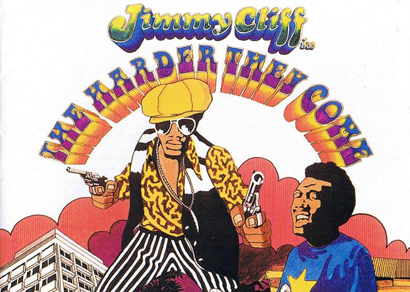 This entry was posted in Features and tagged Jamaica, Jamaican film industry, Jamaican films, Jimmy Cliff, Perry Henzell, Sarala Estruch, The Harder They Come on June 22, 2011 by Sarala Estruch.